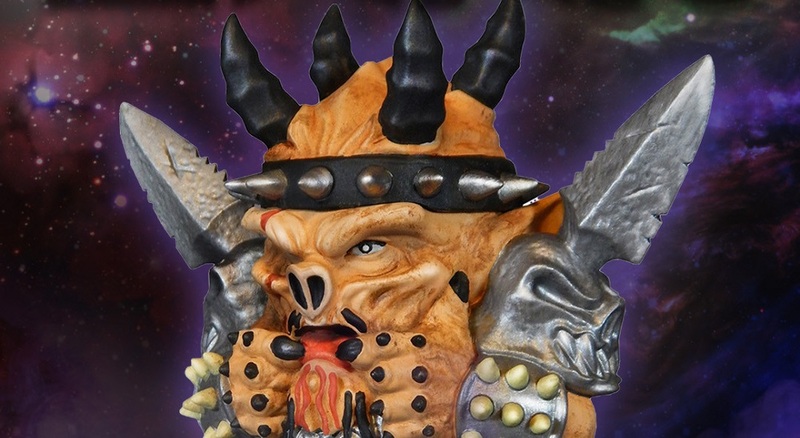 Monstarz presents GWAR Oderus Urungus Mini Figure. Armed with swords and electric guitars, their 30 year campaign has taken them to battlefields and concert halls in every corner of the globe and has exacted a heavy toll. Yet, still their quest continues, laying siege upon the earthlings, crushing bodies and warping souls, in an unending quest to satiate their monstrous battle lust. Hark to the hideous majesty of your MASTERS, rulers of Earth, the MIGHTY GWAR!! The first ever Oderus Urungus Mini Figure! Packaged in full color gift box. Oderus is up for pre-order right now at AmokTime and will ship out in mid November.